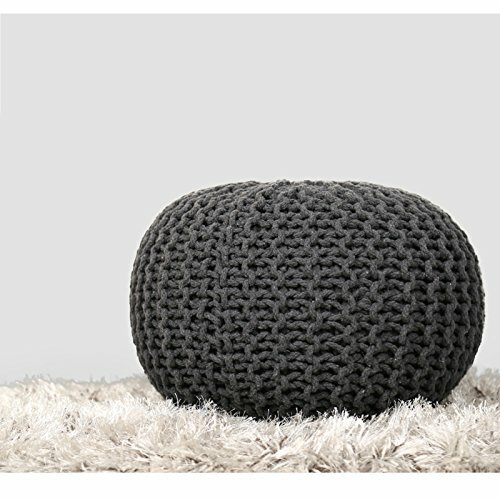 This Hand Knitted textured Pouf can serve as seating, lounger/footrest, family tea time, living room décor. Best for seating in a small space or small groupings in a larger living area, can fit easily in a closet or shed and even makes an attractive conversation piece in a nook or corner. Lightweight, compact design makes it fit in perfectly just about anywhere. If you have any questions about this product by RAJRANG, contact us by completing and submitting the form below. If you are looking for a specif part number, please include it with your message.